Discussion in 'Apple Watch Talk' started by iDan, Sep 9, 2014. What Watch Face will you be running? The typical rectangular watch face. I'm still not sure I am getting one, but I think I would run mickey mouse. I'm surprised there are not more options, honestly. Modular, for quite a while now. It shows my activity, sunset/sunrise, temperature, date, time and events. A lot of information - I'd never have thought I'd like that, before I purchased my AW. A different background would be perfect. With black, it's difficult to read the time on my AW in the sunshine. It's brighter on my AWS, so that's way better. One thing I like about the Apple Watch is that the display is much more visible in bright sunlight than the iPhone. It would be a great improvement if the new iPhones adopted this display technology. 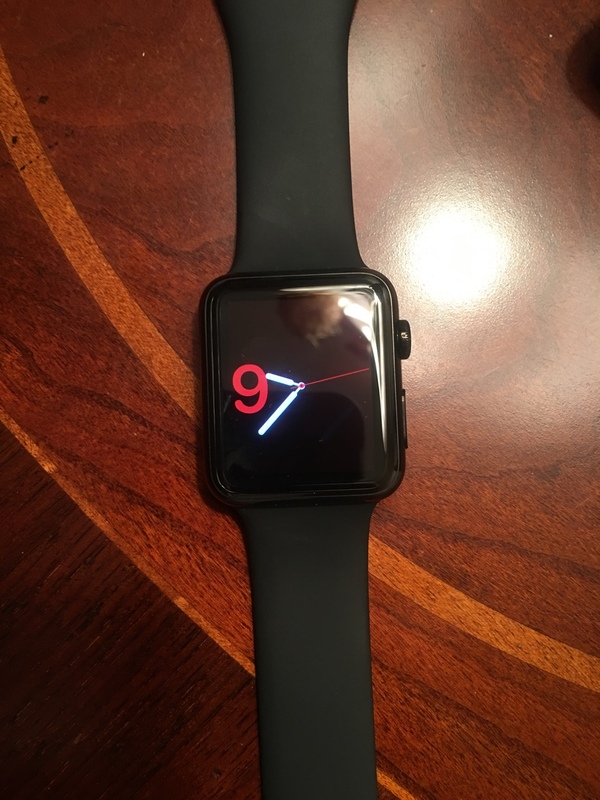 I'm curious as to why no one post photos of the Watch Face their using in the thread? Because up until your first post in this thread yesterday all the posts were from before the release of the Apple Watch on April 24, 2015. This is what's currently on my Apple Watch.